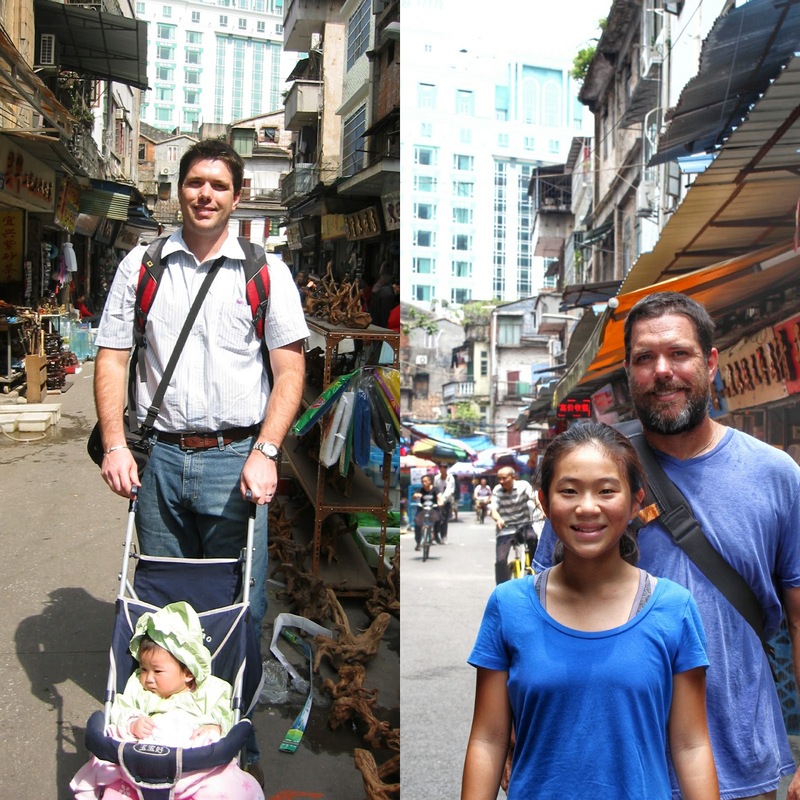 We really wanted to visit Guangzhou to show Emma where we had been together 12 years ago. Americans adopting from China exit through Guangzhou (specifically the White Swan Hotel) because the American Consulate, where the adoptions are finalized, is located here. Located in the White Swan Hotel is the famous Red Couch. 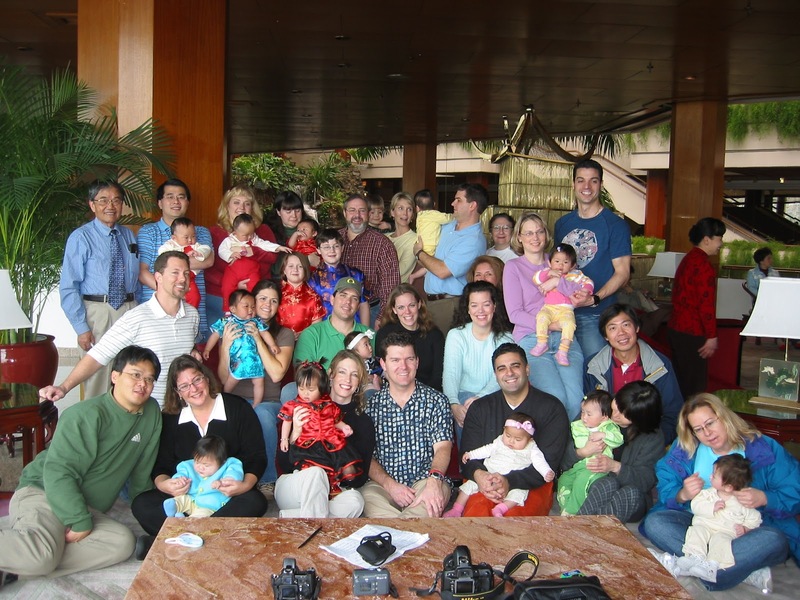 The Red Couch was where thousands of American families would set up their babies and take photos the day before departing for the States. 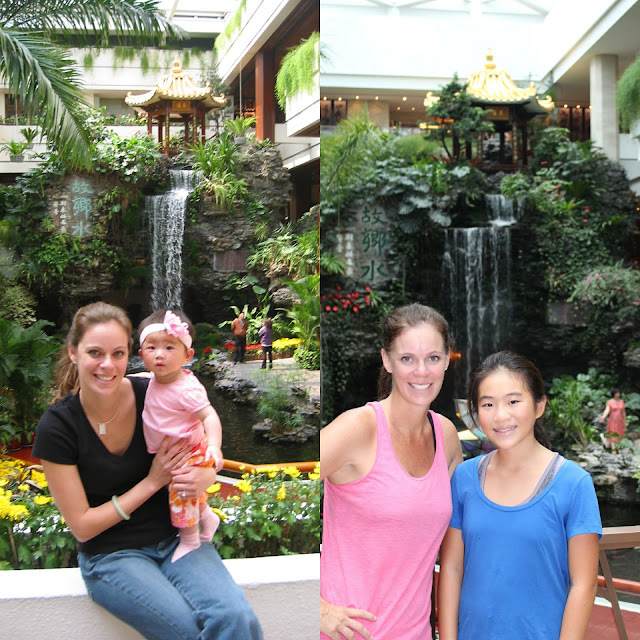 For months we have been anticipating geeking out on recreating pictures from over a decade ago. I'm particularly proud of the next photo. Without a map (even with a VPN we can't seem to figure out how to download Google Maps offline), no way of asking for directions and relying on memory from 12 years ago, we found the exact spot the original photo was taken. We zoomed in on the original photo and studied the buildings behind Phil, examined the air conditioning units in background and miraculously found our spot. 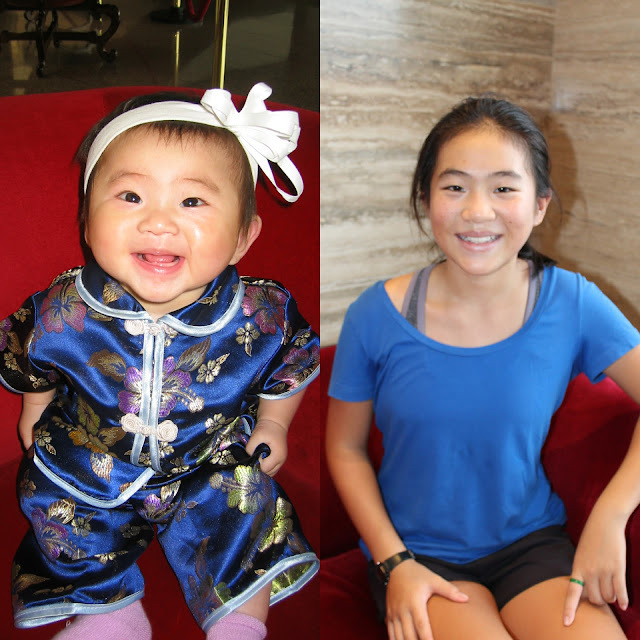 The same year we adopted Emma (2006) China began to limit the number of international adoptions (by drastically slowing down the process) and eventually lifted the one child policy in 2015. 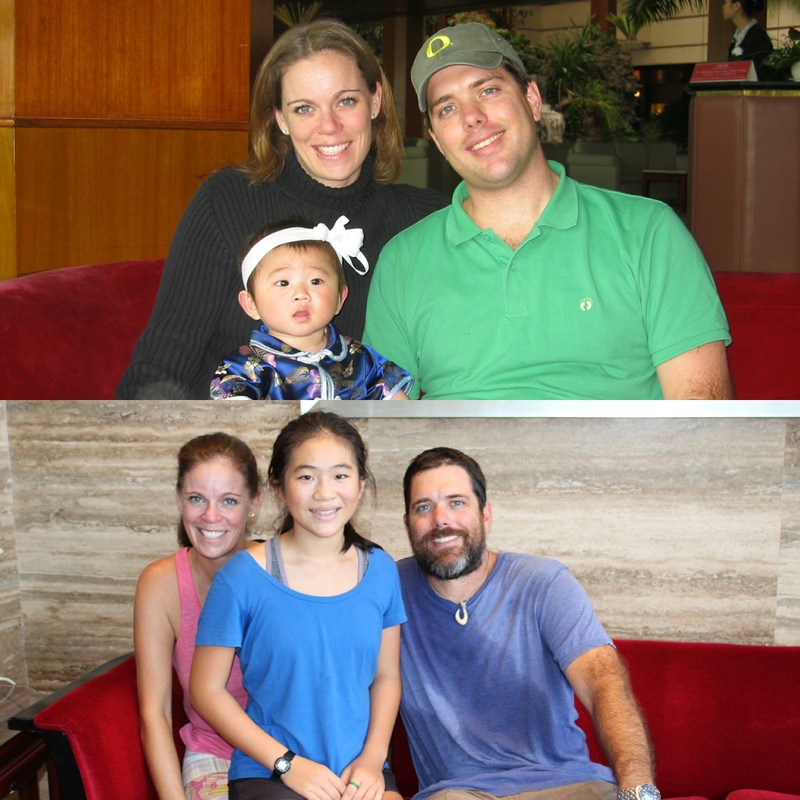 When we were previously at the White Swan Hotel there were dozens of adopting families. Today, the famous red couch is in a corner with a sign explaining it's significance and the patrons are mostly Chinese from various parts of China. Our adoption group from 2006, Emma on the far right screaming into the couch. The White Swan hotel is surrounded by a nearby park with many interesting statues. The statue in particular that we remember depicts an American couple (the mom is a bit plump) pushing a Chinese baby in a stroller. Lucy's Cafe is still within walking distance of the White Swan Hotel, serving American Style food. Just like the last time we were here with Emma, we ordered the cheeseburgers and club sandwiches, which still taste great!